Bravura’s 400ml range of Captain Kombucha drink will be available in two new flavours, Cayenne Pepper and Pineapple Peach. Moreover, the brand will also launch litre-sized versions of all Kombucha drinks. In the second week of May, Tesco will be the latest retailer to feature the 400ml bottles of the original and raspberry flavours. 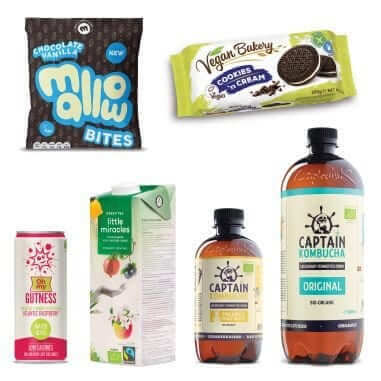 A new brand named Oh My Gutness will offer a new range of dairy-free water kefir. Starting in the first week of May, customers can purchase an original and a raspberry variant in 330ml-sized cans at 100 Sainsbury’s stores. Similarly, organic and fairtrade drinks brand Little Miracles is launching a litre-sized carton in their green tea and lemongrass flavours.